Stylish and functional the Ladder Desk is the perfect accompaniment to our oak leaning shelving range. Simply lean the desk up against any wall in the house, and you have a place to work. 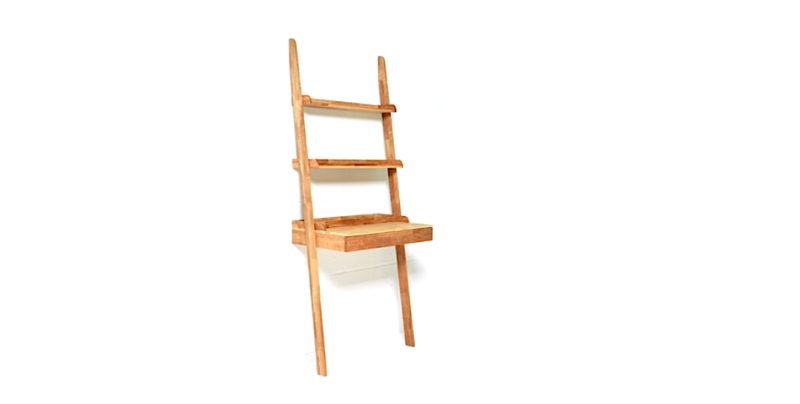 The Ladder Desk features finger jointed solid oak with incorporated shelves and a desk tidy, though the desk can also be used without the tidy, if so desired. Plus it has a handy drawer for storage. *We recommend that this unit is fixed to a wall for stability and security.